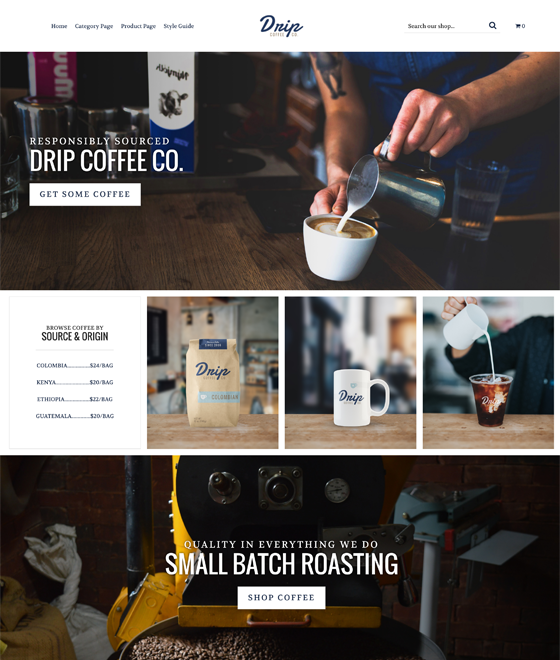 The fresh, minimalist Drip theme provides a clean palette for your most creative visions. Powerful full-sized images give users a dynamic viewing experience, and the organized, stacked layout allows your brand to shine. 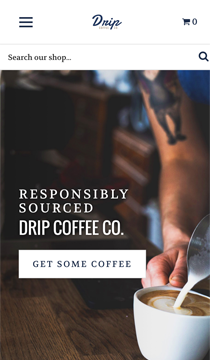 Drip is perfect for businesses with high-quality imagery and branding, allowing your brand to pull the attention of your customer on their own.